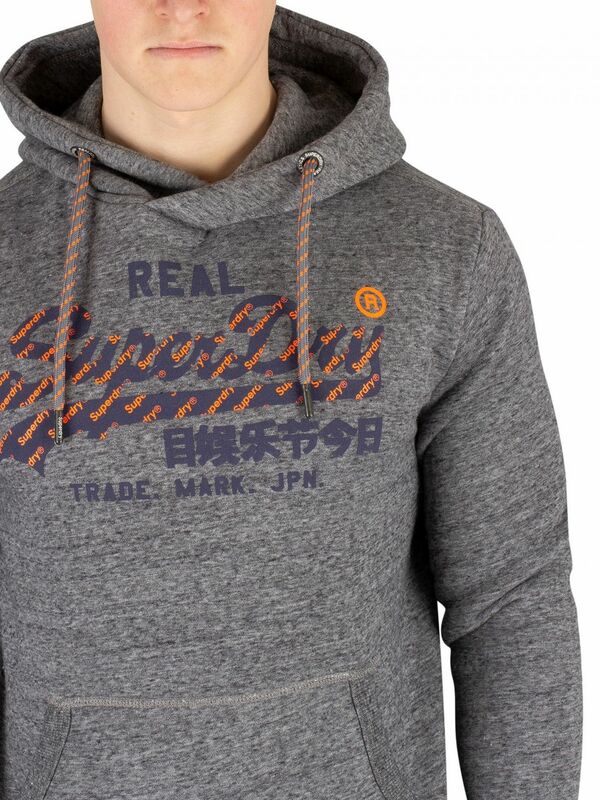 The Vintage Logo Neon Tip Pullover Hoodie from Superdry comes with an open pocket, featuring elasticated cuffs and hem. 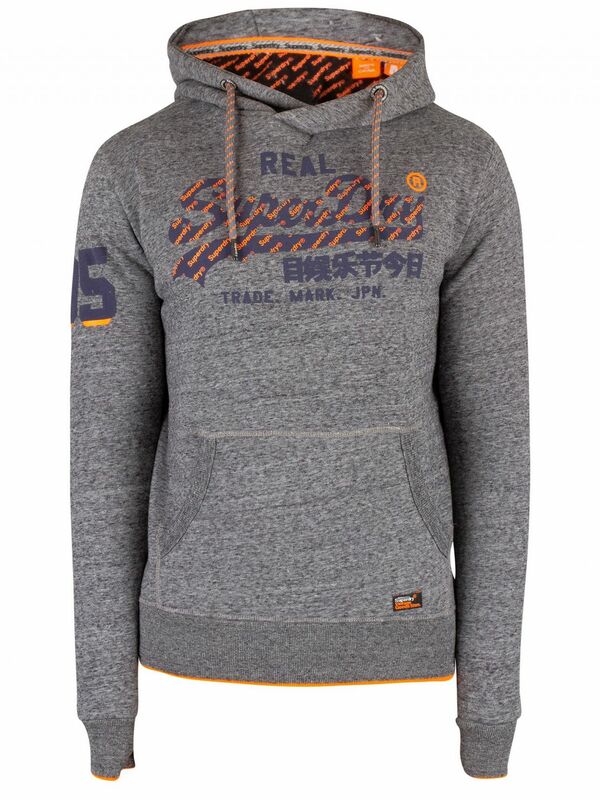 This hoodie for men also sports a rubber logo graphic on front and a rubber number on right sleeve. 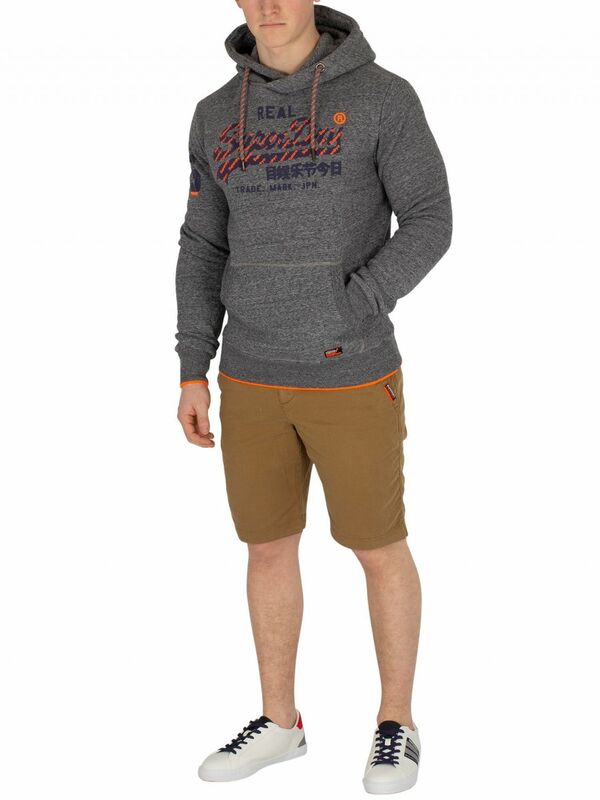 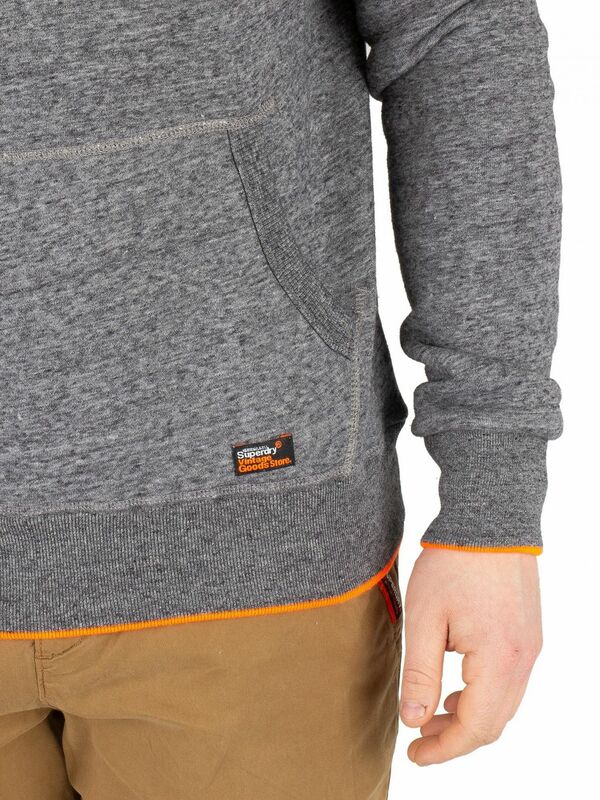 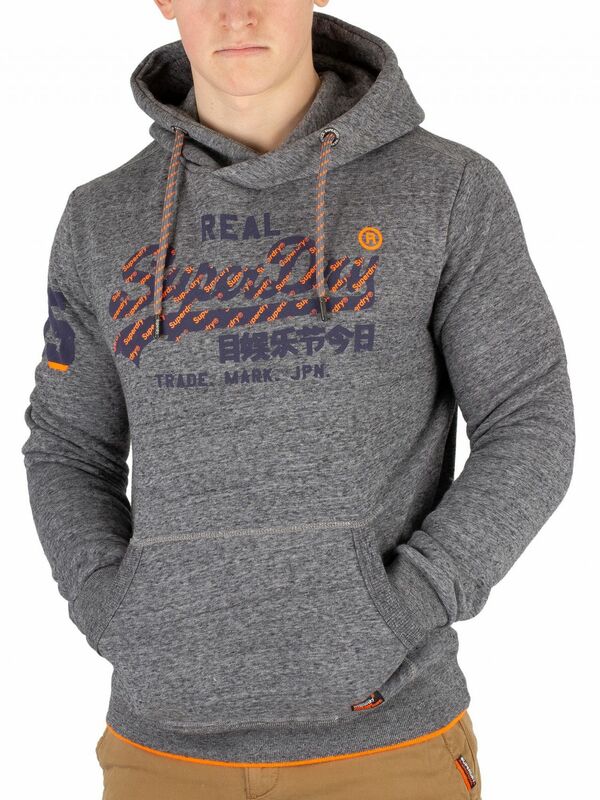 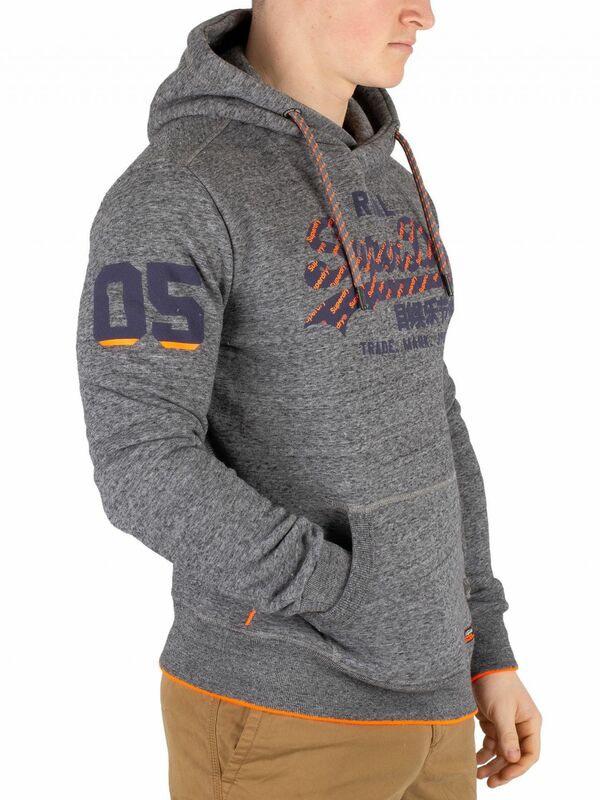 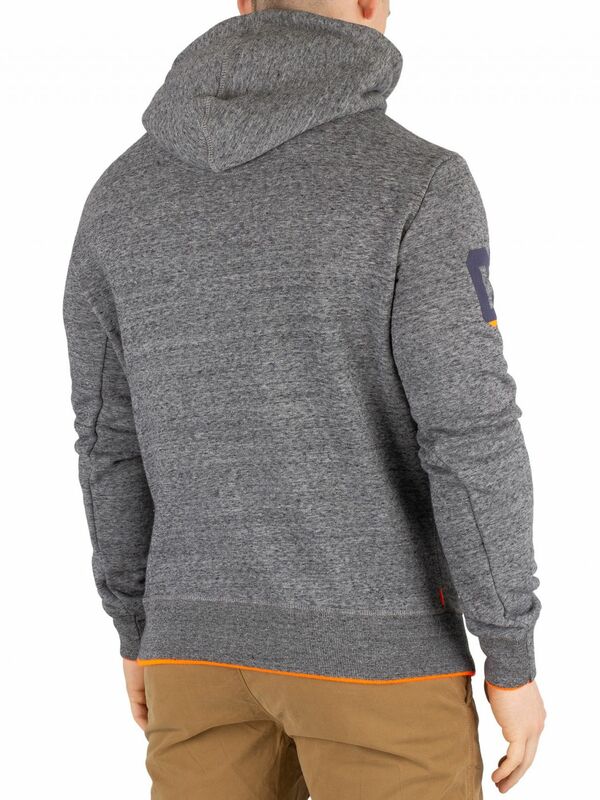 Coming in Flint Grey Grit colour, this hoodies features a drawstring hood.